Create a postmark stamp based on a New York Times Travel article. A supply list for rubber stamps is here. Choose an article from the New York Times Travel section. 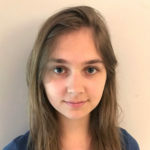 Write a list of images important to the article. In this case, the article is Pups Onboard: Why Trains Are a Great Way to Travel With Your Dog(s). Combine these images into five different thumbnail designs for a postmark stamp. Consider size, shape, text, font, logo, and color. Your postmark must include a date, location, post service, and cancellation lines. 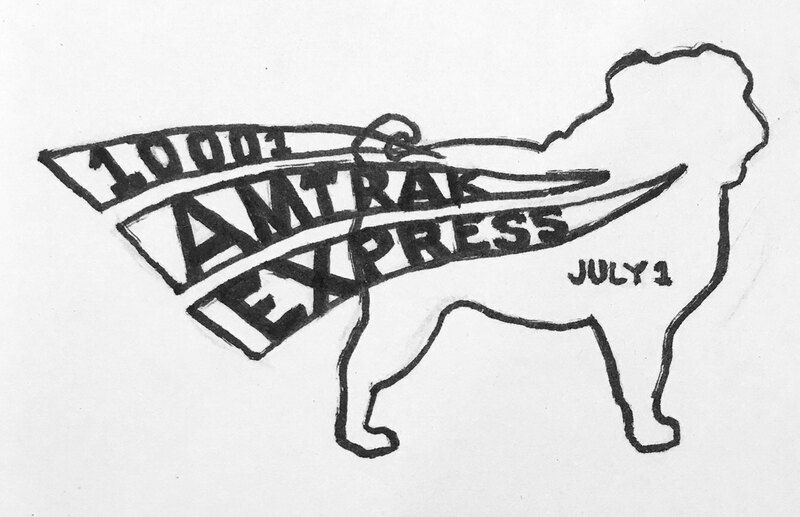 Pick one of your thumbnail designs and draw over it with a black brush pen or marker. Pressing hard with a soft graphite pencil, color over all the black marker lines. 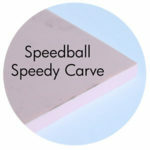 Press your design onto a block of Speedball Speedy Carve, so that the graphite pencil is face down on the Speedy Carve. 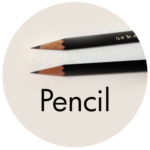 With the edge of a credit card or a plastic scraper, press the back of the paper into the Speedy Carve surface to transfer the graphite pencil. Watch this process, and the rest of this technique starting at 03:54 in the video below. Lift the paper. Your image will have transferred backwards. Your image will come out the original orientation when you stamp it. 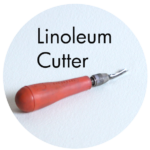 Using the smallest carving nib with your linoleum cutter, start by carving out all the finest details. Carve out everything that is not the graphite pencil areas from the transfer. Get carving tips in this video below starting at 23:08 min. Move to the larger areas with larger nibs. 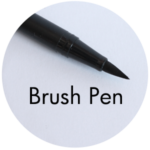 When the design is carved, use the largest nib to cut around the outline of your stamp. 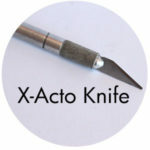 Use the X-acto knife to cut the shape of your stamp out of the Speedball Speedy Carve block. Clean up your stamp by cutting away any large ridges with a nib or X-acto knife. 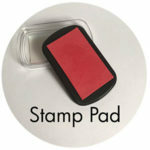 Do a test of your stamp by pressing it evenly into the ink pad and then onto a scrap piece of paper. If you see any carved lines around the image that you don’t like, carve them out with the linoleum cutter. Use your postmark stamp on an envelope with a postage stamp on it! Watch the video below starting at 12:09 min. for tips on how to combine markers with rubber stamps. Watch the video on the bottom right starting at 05:57 min. for tips on drawing with markers. 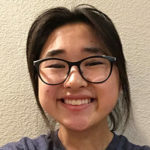 “The article I based my mail stamp off of did not come from the New York Times Travel Section (the most recent New York Times did not have one), but it was based off of a personal story about a 62 year old woman who found her passion for gardening at a later age. The vivid imagery of the flowers, dirt, and style of this woman inspired me to create a two part stamp, including flowers to represent her love for gardening, and cat-eye sunglasses. During my experience making this piece I learned a lot about patience and time management, for I ended up rushing the stamp making process and ending up with careless, messy mistakes that I later had to digitally edit out (ex: the date and zip code, which ended up smudged and unreadable in the original). “This was the first time I’ve worked with Speedball Speedy Carve or any sort of carving material in general. So this designing process was all very new to me. Despite this unfamiliarity, the materials in this project were surprisingly easy to work with. The block was easy to carve and the process of transferring my design onto the block was simple. I think the part of this project I had most difficulty with was definitely creating the design itself. 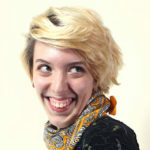 I was tempted to make the design intricate and detailed after I had read the article I chose. I had all these ideas of putting detailed buildings in the design and nice lettering. But I realized because of this material and the purpose of this stamp, the design was meant to be made simple. 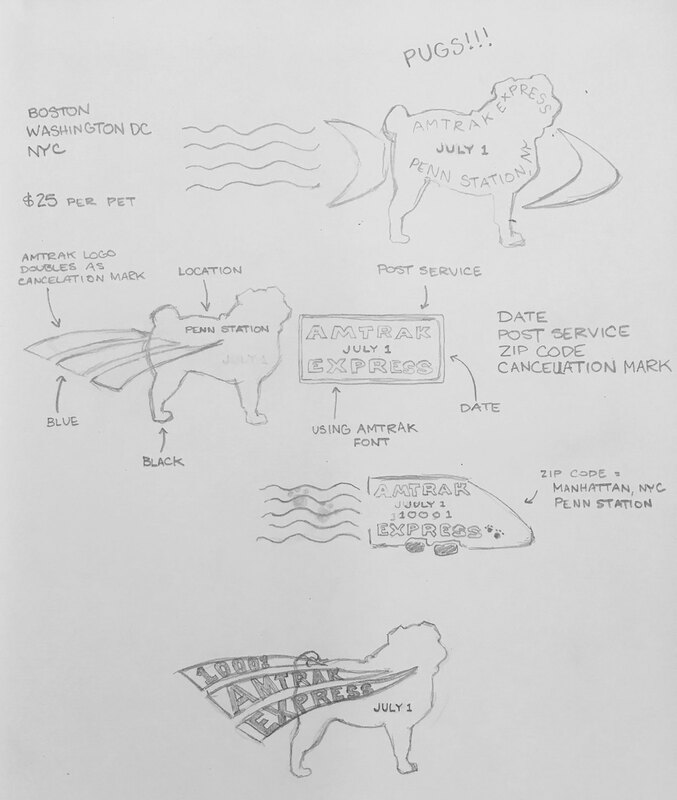 0 responses on "NYT Travel Postmarks: Carving Custom Rubber Stamps"